To pet parents, a cancer diagnosis is scary, and it can escalate quickly. Cancer is a disease caused by the rapid division of cells that often form masses or tumors in various parts of the animal. While it mainly occurs in older pets, it almost feels like no animal is immune, and can be found in almost every part of the anatomy, from the bones to the brain. 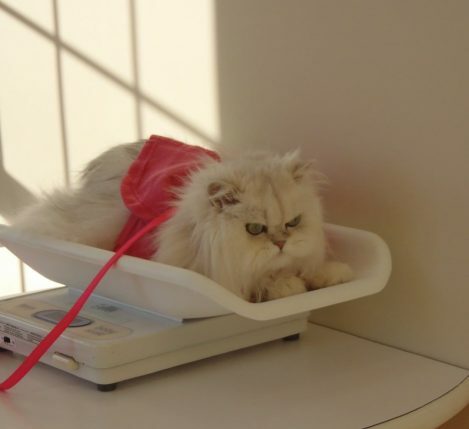 Watch for any lumps or masses on your cat, especially those that seem to be increasing in size. Behavioral changes can also be an indicator, including lack of appetite, difficulty urinating or defecating, weight loss, difficulty breathing, or lameness. Any fluid discharge or bad odors can also be signs. If any of these symptoms are present, make an appointment with your veterinarian; these can also be symptoms of other diseases besides cancer. 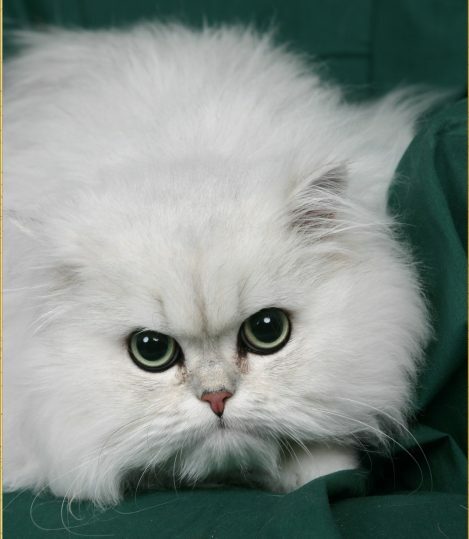 Misty, a Chinchilla Persian senior cat, was diagnosed late last year. “She’s always been a picky eater, but she kept eating less even with an appetite stimulant. Her coat wasn’t as shiny or well-groomed and she would vomit a foamy liquid,” explains pet parent Kay. “She was weak and had trouble going up and down stairs or getting onto the bed, and she was barely moving throughout the day and sometimes even seemed in pain when I picked her up.” Kay took her to the vet for her senior kitty physical – “Misty is 18 years old and will be 19 this year!” – and the vet picked up on an abnormal feel to her kidney. It turned out to be cancerous. If a biopsy confirms the presence of cancer, treatment largely depends on the type of cancer present. Surgical removal of the tumor and/or affected areas is one option, and many pet parents also choose to treat their cat with radiation therapy and palliative chemotherapy. Interestingly, pet chemo is very gentle, and if the side effects are brutal or unbearable, a vet will discontinue use. It is very common for a vet to combine surgery with chemotherapy and radiation for full effectiveness. However, if the cancer has metastasized, or progressed, too far throughout the animal’s body, it sometimes can’t fully be treated. Radiation therapy for cats can cost anywhere from $1,000 to $4,000 while chemotherapy costs range from $200 to $2,000. Surgery is usually an expensive path as well – anywhere from $1,000 to $5,000. 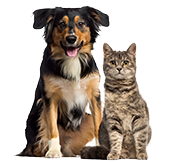 Pet insurance can greatly reduce the costs of cancer treatments, which are very expensive. For Kay and Misty, their entire cancer treatment was $4,745 and Kay has been reimbursed $3,836. Pet parents report watching all bodily functions like a hawk during recovery, especially post-cancer treatments. Some cats also have acupuncture, physical therapy, and follow up appointments for quality of life, increased recovery times, and a more holistic approach to cat cancer care. How Can I Prevent Feline Cancer? Some viruses can cause cancer, such as the feline leukemia virus (FeLV), which if left unchecked, can cause lymphosarcoma. Vaccinating your cat, keeping it indoors, and scheduling regular checkups can all reduce the chance of contracting FeLV. Spaying your cat can prevent feline breast cancer and also decrease overpopulation. The risk of feline skin cancer, or squamous cell carcinoma (SCC), can be minimized by reducing the amount of time your cat spends in direct sunlight. These are three of the most common feline cancers; keeping your pet at a healthy weight, indoors, and disease-free can all lessen its risk of having cancer. Cancer can be a scary surprise for a pet owner. If caught early, treatments can greatly improve a pet’s prognosis. Always consult with a veterinarian if you are concerned your cat is displaying symptoms of cancer. 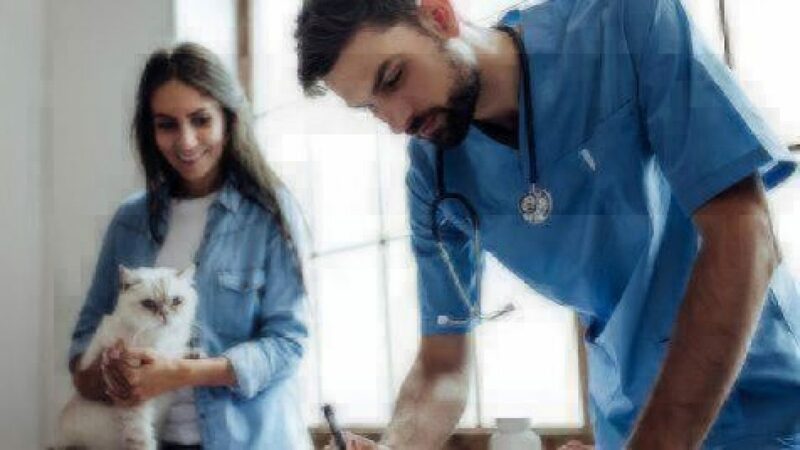 If your cat has not exhibited any symptoms before enrollment or during the waiting periods, claims for the condition will be covered up to 90%. Find out more by getting a free quote today.